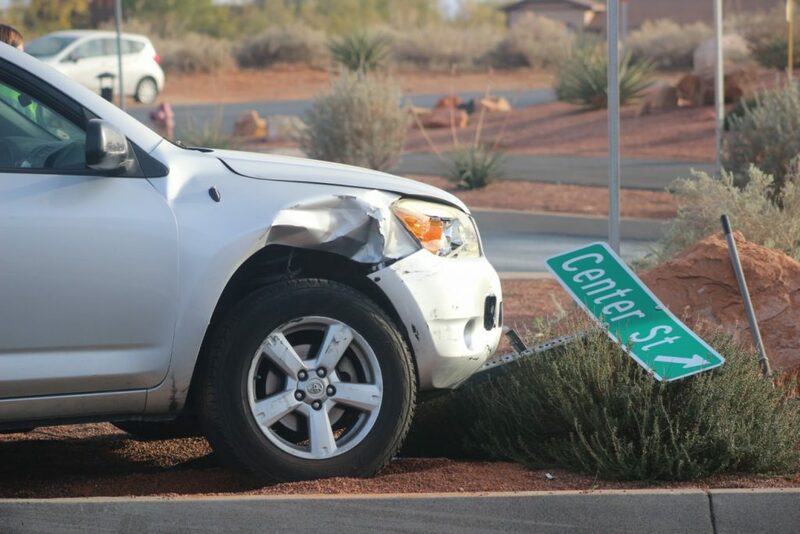 IVINS – Traffic through a roundabout on Snow Canyon Parkway in Ivins was slowed as police looked into a two-vehicle collision that put an SUV up over a divider and into a street sign. 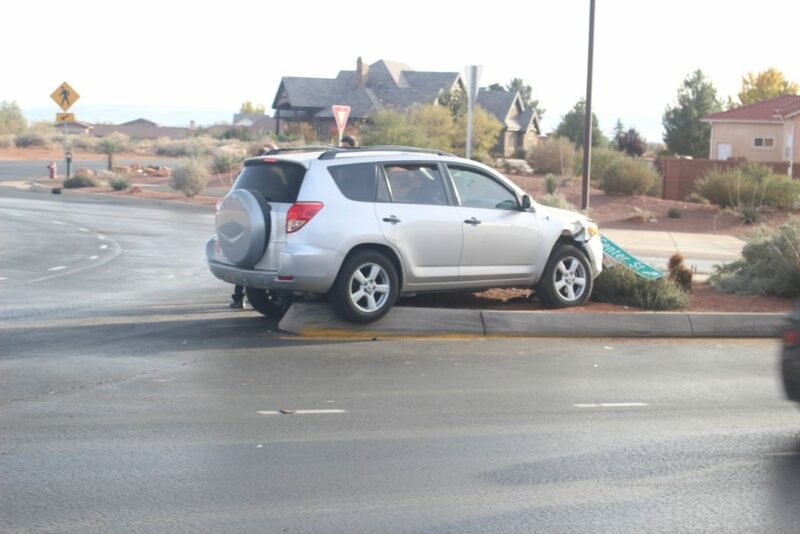 Around 5:20 p.m., an SUV and passenger car were westbound on Snow Canyon Parkway and entered the roundabout at the Docena Drive-Snow Canyon Drive. 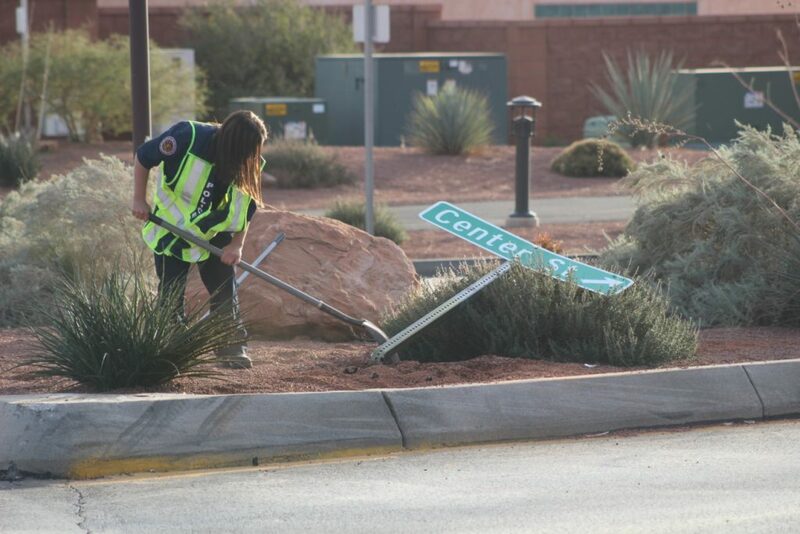 While doing so, one of the vehicles began to turn into the other vehicle’s lane, said Randy Hancey, public information officer for the Santa Clara-Ivins Police Department. Due to limited information at the time, Hancey was unable to say which driver had been at fault, but he said that one was issued a citation. Whatever the case, a collision caused the SUV to veer to the left and go up onto a divider and crash into a street sign. While the SUV would ultimately have to be towed, no injuries resulted from the crash, Hancey said. The passenger car was able to be driven away. Traffic moving through the roundabout was slowed due to the crash, yet able to make it through without any major disruption.